A few people have been pointing me to a new paper, A Bayesian phylogenetic study of the Dravidian language family, which implies that the Dravidian language family diversified ~4,500 years ago. I don’t have much to say about the paper itself since it aligns with my own conclusions, but it’s well outside of any field that I can judge (though it does use standard phylogenetic packages I’ve used). Who were the Indo-Iranians? 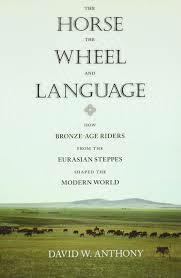 I lean toward the proposition that they do derive from the Andronovo culture of the Eurasian steppe. This would date the entrance and expansion of Indo-Aryans in northern India 3-4,000 years ago. I also contend that the dominant element of ancestry among modern South Asians is not Indo-Aryan. Rather, it is an ancient stabilized hybrid of pre-agricultural societies in the Indus valley and Neolithic farmers who originated from what is today western Iran and eastern Anatolia. Therefore, I posit that the “Aryanization” of the Indian subcontinent is properly modeled as the same processes which led to the emergence of an Anatolian and Rumelian Turkish identity; a small elite population which forces an identity shift among the majority. Where was I wrong? Where was I right? Even looking at ADMIXTURE plots which don’t always give an accurate sense of population history it seemed likely that “Ancestral North Indian” (ANI) was not one thing. Some South Asian populations seemed to have much stronger affinities to West Asian populations. And in particular those from highland West Asia, toward the Caucasus. These include groups in southern Pakistan, but also to some extent in South India. 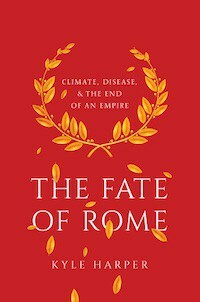 In contrast, other groups had affinities with Eastern European populations, in particular, high caste North Indians, and to a lesser extend Indo-European peoples more generally. I think I got the dynamic correct. Subsequent analyses comparing ancient DNA from the Caucasus and Iran suggest that all South Asians have a lot of shared drift (ergo, ancestry) with highland West Asians, while a smaller subset has high shared drift (ergo, ancestry) with pastoralists from the Eurasian steppe. The groups match up with what the ADMIXTURE plots were suggesting. There was more than one pulse of ANI-like ancestry and that one of them was like West Asians and one more like Europeans. Remember, this is before we knew the acronyms ANE, WHG, and EEF. Or CHG and Eastern Middle Eastern Farmers and Western Middle Eastern Farmers. But, I think I was wrong about the magnitude of the admixture. 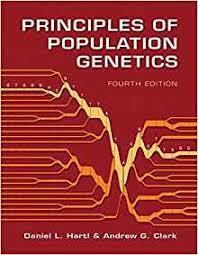 This was before ancient DNA had revolutionized our understanding of population movement and turnover. I was still resisting the mass migration of a whole folk across huge distances. I’m more open to that now. I am not sure I still believe the very high steppe fractions implied in some of the recent analyses, but it’s certainly higher than I would have believed back then. Finally, the recent diversification of the Dravidian languages supports the model that their current distribution is not primordial. Rather, they probably expanded relatively recently from the northwest of the subcontinent. Probably earlier than the Indo-Aryan expansion into the Gangetic plain, but not that much earlier. Additionally, because the Dravidians were not primordial, but expanding only somewhat ahead of Indo-Aryans, they were part of an interactive social-cultural sphere with the Indo-Aryans. I think the very high frequency of R1a1a-Z93 in some non-Brahmin South Indian groups, even tribal ones, suggests to me that the expansiveness of some paternal Indo-Aryan kin networks across the whole subcontinent. Addendum: Much of the attention goes to the ANI dynamics. But though recent work attests to the overwhelmingly diversity, and basal character, of South Asian mtDNA lineages, we can’t be entirely sure that they are indigenous without ancient DNA. If a migration from the east at the Pleistocene-Holocene boundary was characterized by gradual diffusion of groups with reasonable effective population sizes they could have brought over their diversity. Yes. Probably reached as far as Sindh in Pakistan. They also probably reached somewhat further north than today, and then were pushed back, before they expanded again. The current North Dravidian languages are probably due to a secondary migration from SW India ca. 1000 CE (as supported by the oral histories of those linguistic communities). Very unlikely. Far more likely to have expanded from an epicenter in central to eastern India ca. 2500 BCE in connection with the South Indian Neolithic which started there. The archaeology and the phylogeny of the language family support this hypothesis. There is absolutely no credible evidence to suggest a northwestern epicenter of expansion for the Dravidian languages. And, the Harappan language and the Dravidian languages were almost certainly not the same. It is fair to be agnostic about the source of the language that expanded from that epicenter for which there are a variety of plausible possibilities. So, fallen Harappans running South. Why? Desertification? Famine? Diseases? War? I always thought that the inhabitants of India constantly harassed the Harappans (as people know, the fall of the Harappan was very violent) for the lack of evidence of anyone else doing it. But if they indeed went South, then doesn’t that mean that the Aryans were the ones pressuring them for centuries? Strange. Either way, it could have been a civil war or a non-warring cause. And really, Indians were already upset about the Aryans not being Indians, and now not even the Dravidians? Will they accept such sacrilege? Will we see a Munda revival? What would you venture to guess or speculate as a reasonable estimate for the time gap between the Dravidian and Indo-Aryan expansions? Why is this a surprising possibility? It’s the dynamic that happened in East Asia after all. All of the major Southeast Asian language groups (Austroasiatic, Austronesian, Tai-Kadai, and Hmong-Mein) had ultimate origins in Neolithic South China (or potentially even further north), yet were mostly displaced with the slow expansion of Chinese. It’s surprising because of the dates and lack of evidence. i wonder if the drav. just expanded cuz it was ‘time.’ in the north the indo-aryans blocked that expansion. to my knowledge the harappans didn’t go far south/east. but the original iranian farmers may have? cultural changes happen slowly over time and something happened all over SA 2000-1000 BCE to establish the current genetic structure. //fallen Harappans running South// ?? the so called research is on particular language family.. it’s not about archeological artifact to confirm whether the Harappans moved towards south or they spread all over. By available artifacts and its dating confirmed that Dravidian spread all over Subcontinent prior to Aryan Invasion. So we have an Iran_N affinity that peaks among the Balochi/Brahui and also the Kalash but extends right across South Asia representing of shared ancestry with the Iran_N population. Yet South Asian groups more Northern also have a steppe affinity. Clearly this additional steppe affinity is related to Indo-European ancestry. I think, going by Lazaridis et al 2016, most South Asian groups have their ANI ancestry divided into Iran_N & steppe. This steppe component can also be represented by EHG. Now the fact is, Iran_N itself was modelled by the Lazaridis team as 64 % BE & 36 % EHG. So it does have EHG affinity. On the other hand, Iran Hotu and CHG though being closely related to Iran N have a slightly greater affinity to EHG. So already at the start of the Holocene, we see a structure & we see populations spread across from the Caucasus to Iran who are differentially related to EHG. Is it not likely that there could have been a similar kind of structure across South Asia too at the start of the Holocene ? So maybe there were already groups who shared drift with Iran_N but had greater affinity towards EHG than what Iran_N had, just like Iran Hotu ? If there was such an old structure, things would get pretty complicated. I am assuming that the upcoming paper is arguing for steppe ancestry in South Asia already during Harappan times and that these steppe admixed people were the architects of the Harappan civilization. Is this correct ? If so, it is built upon the simplistic notion that an Iran N like population existed across South Asia since the Neolithic, which implies uniform level of affinity towards EHG. But does this look plausible based on what I argued earlier ? And then we are to assume that in this uniformly Iran N like population there was an infusion of steppe admixture in only certain groups who then subsequently spread it to other South Asian groups. But if there was already differential level of EHG affinity in South Asia before the purported date of steppe admixture, how can we find out what was the level of steppe infusion ? Surely without older aDNA dating to 5000 BC or thereabouts, we cannot know how much of an impact, if any, did the supposed steppe migration make. Pretending, for the sake of convenience, that Neolithic groups in South Asia were exactly like Iran_N with no additional shared drift with EHG or steppe is convenient for the time being. But it surely is no substitute for some actual South Asian Neolithic or Mesolithic samples. Without those we surely cannot determine the magnitude of the steppe infusion. 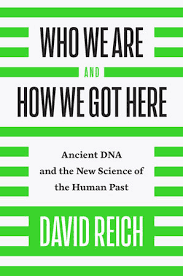 an interesting point that david reich points out in his new book is that there are cases where archaeology might predict population turnover where ancient DNA shows none, and cases where archaeology would predict none, and ancient DNA shows there is a lot. there are cases where archaeology might predict population turnover where ancient DNA shows none, and cases where archaeology would predict none, and ancient DNA shows there is a lot. to be clear: there is a south-to-north *within pakistan*. iran_n/steppe ratio seems to get lower as you go north. this may be a function of recent gene flow into southern pakistan though. EHG is a much worse fit than steppe. steppe=EHG+something like iran_n. I am assuming that the upcoming paper is arguing for steppe ancestry in South Asia already during Harappan times and that these steppe admixed people were the architects of the Harappan civilization. Is this correct ? i have no idea. but my impression is that this is not true. though my confidence is weak. And then we are to assume that in this uniformly Iran N like population there was an infusion of steppe admixture in only certain groups who then subsequently spread it to other South Asian groups. your assumption is probably wrong. i don’t know too many who believe this…. it may actually end up that indian scientists for some mysterious reason never end up publishing ancient DNA studies in the near future. but if we get a sense of the variation in all adjacent countries to the west that should make a lot of things clear. The consensus in the comments seem to relate the Dravidian to Mehrgarh and Harappa but I am not sure; the Dravidan language origination map seems to more closely follow the neolithic ashmound people more than Relocated mehrgah-Harappa people. The language of IVC has not yet been clarified and no one except Parpola has made any connection between the Dravidan and IVC. The neolithic ashmound People (Reference Newbold 1843, and Dorian Q fuller) were radiocarbon dated as between 3000 BC and 1200 BC and drops in right into 4500-3000 BP of the Proto-Dravidian to more modern language transition. This is not to say that Neolithic pastoralists have no connection to Mehrgarh; just that I think the middle-IVC does not easily relate to the Dravidan linguistically or by food or by settlements. Why will apopulation that is well settled and develop cities, metalwork completely give all that up and become herders? I am not questioning the fact that IVC, Indo_Aryana and Dravidans all originated elsewhere; just that easy extrapolations from IVC to south and Western India have not been supported. Mehrgarh predates IVC by 3000 years. there’s a whole lot of room there for diversification and diversity (linguistically). @Karl Zimmerman the Austronesian and Austroasiatic expansions into Southeast Asia likely predate the expansion of the Han Chinese by thousands of years. If I’ve correctly recall Razib’s previous posts there may be a similar time gap between the Dravidian and Indo-Aryan expansions in South Asia.